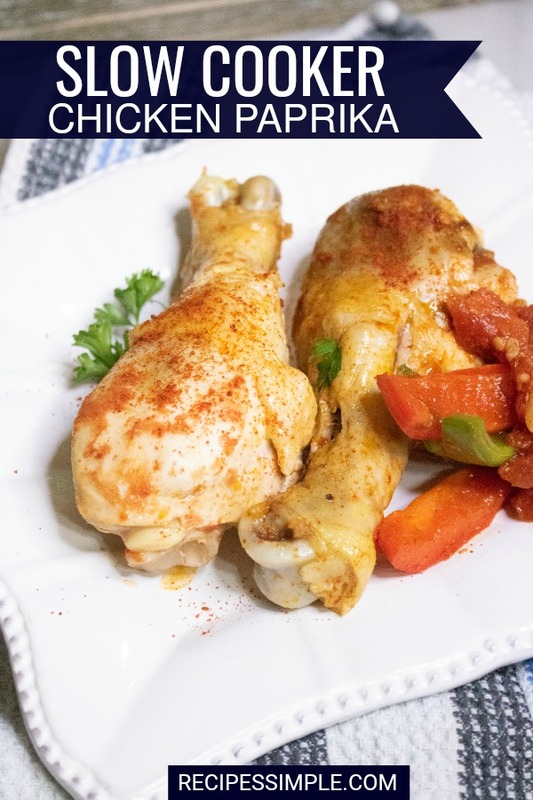 Enjoy this easy and delicious Slow Cooker Chicken Paprika with simple ingredients that make a flavorful dish the whole family will love. 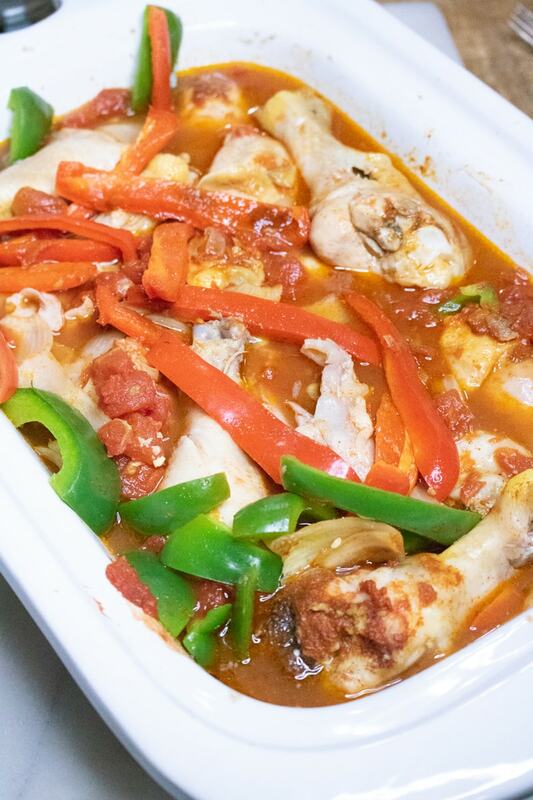 The chicken is slow cooked with red peppers, green peppers, diced tomatoes, onion and chicken stock and seasoned with paprika for a healthy delicious meal. 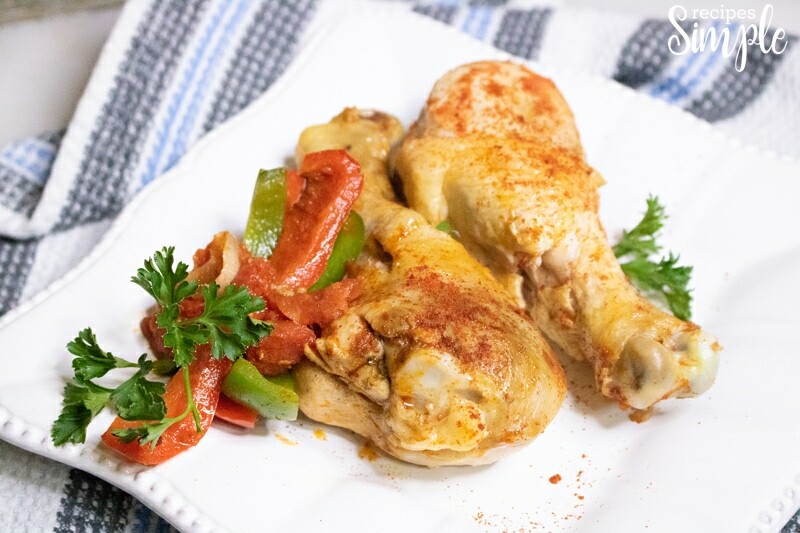 We like to have healthier chicken recipe options when menu planning and this one is a favorite. In the summer it’s great paired with rice, fresh cucumbers and sliced tomatoes. 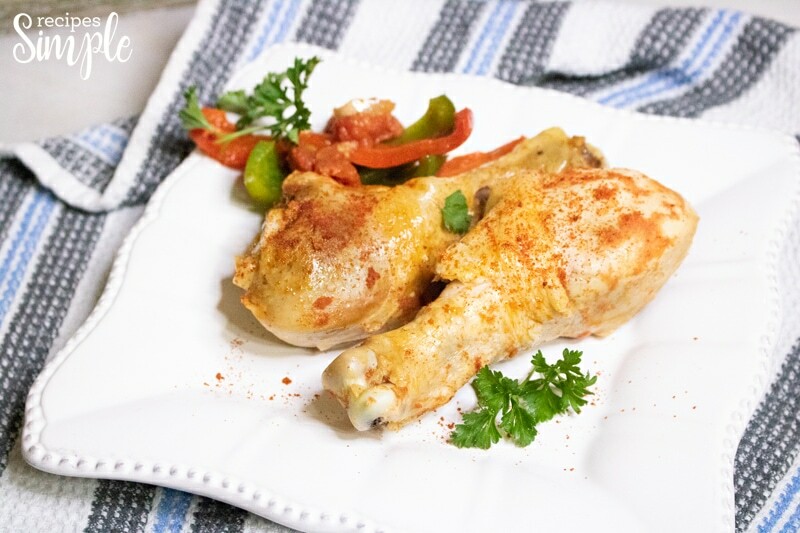 This Slow Cooker Chicken Paprika is a delicious and inexpensive meal. We like to serve it with sweet potatoes and green beans. 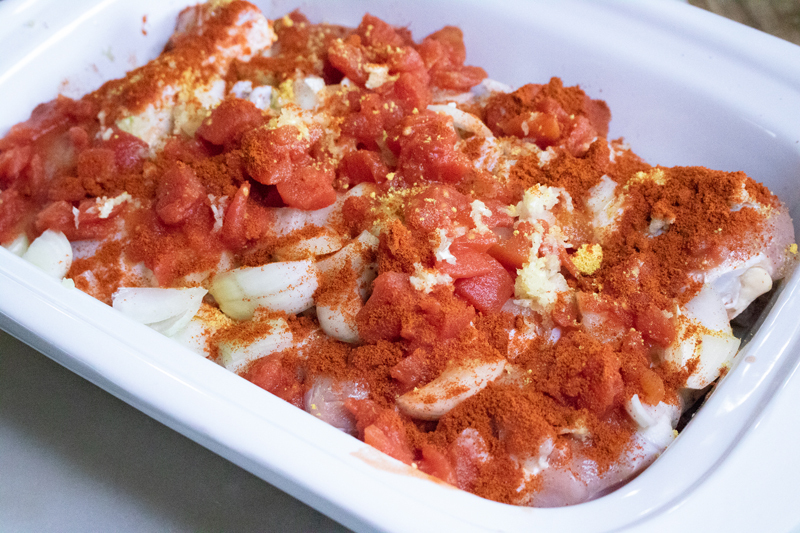 It makes a simple easy dinner that everyone loves. I like to stock up on packs of chicken legs when they are on sale and freeze them. 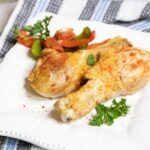 There are so many great inexpensive meals you can make with them. This is a really simple and easy recipe. You basically put it all in the slow cooker and it does all the work for you! 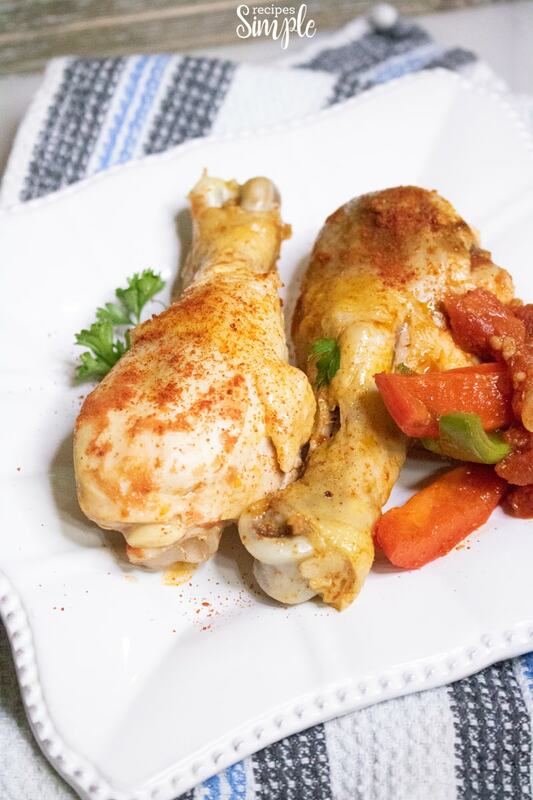 To make this Slow Cooker Chicken Paprika, add the chicken drumsticks to the slow cooker and season with one tablespoon of the paprika and salt and pepper. Next add remaining ingredients except the green and red peppers. Cover and cook on low for 6 hours or until chicken is fully cooked. Add the red and green peppers to the slow cooker the last hour of cook time. Serve with your favorite side dishes. Makes 6 servings. 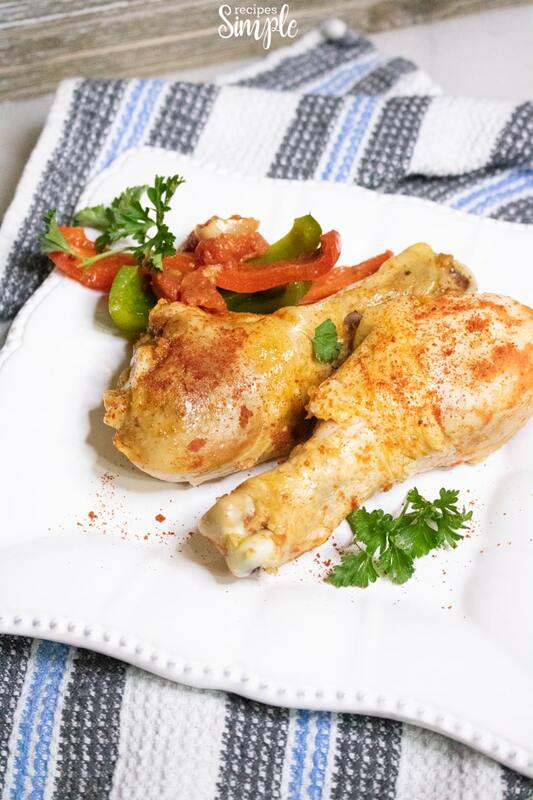 Add the chicken drumsticks to the slow cooker and season with one tablespoon of the paprika and salt and pepper. 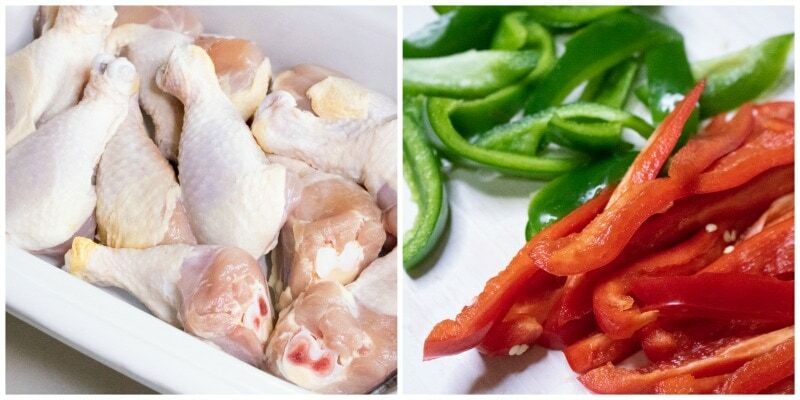 Add in remaining ingredients except the green and red peppers. Cover and cook on low for 6 hours or until chicken is fully cooked. Add the red and green peppers to the slow cooker the last hour of cook time.